Comedians love sharing videos of themselves facing down hecklers and we love watching them. There’s something thrilling about the verbal annihilation of a drunk d-bag hellbent on making everyone’s evening that much worse. 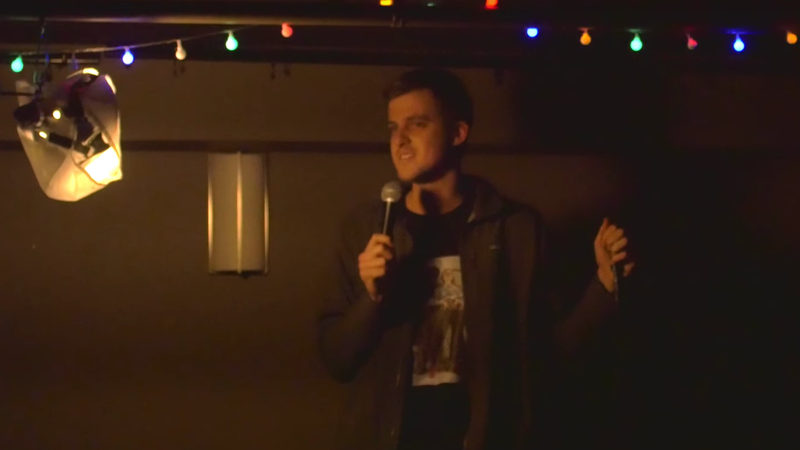 But, in a recent video uploaded to YouTube, comedian Bret Raybould offers us a very different kind of heckler interaction. “She’s not a plant, for the record,” Raybould says after a woman interrupts the beginning of his set to thank him for getting them such nice seats earlier. Presumably, Raybould was serving as a host for the venue—a common task of rising comedians—before taking the stage. Alas, very few jokes were to be told in Raybould’s set, as he spent a good portion of his set getting to know Wendy, Janet, and Melissa, three women with a lot to say. Not every comedian would be clever enough to turn this potential disaster into a feel-good situation, and not every heckler would be this game to engage with him. We’re just glad this chance meeting was captured on film, if only to provide comedians a different approach to dealing with rude shits, especially in an age where hecklers are reportedly on the rise. Perhaps, one day, Bret and Janet will look back on this and laugh.